Nothing says “Welcome to the good life” like splurging on a baller hotel room. The following mini palaces offer adorned, immaculate interiors, high tech creature comforts, fully stocked bars, jaw-dropping views and service that will make even cutting your own food a preposterous proposition. 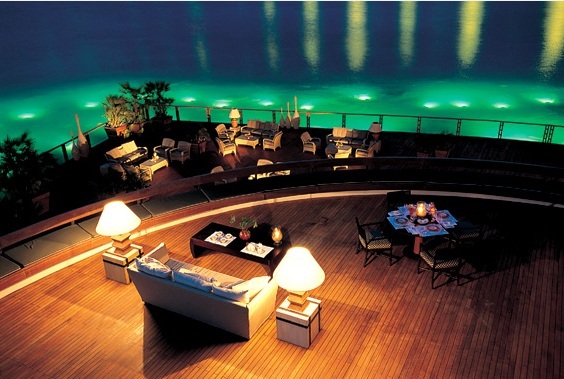 Check out five of the most expensive hotel suites in the world! Royal Penthouse Suite, President Wilson Hotel – Geneva, Switzerland. This decadent 5-star hotel is frequented by the likes of Bill Gates, Bill Clinton, Tony Blair, and many other world leaders and heads of state. The 5,550 sq. ft suite offers incredible views of Mont Blanc and Lake Geneva, and it’s safety is reinforced with bulletproof windows, man-sized safe, and even evacuation-via helicopter should things get a little out of hand with guests, diplomats or the bar tab. The two-story, three bedroom sweet was sexed up by The Hef himself. Skyline views can be enjoyed from the spacious Jacuzzi pool located in the suite. The room also offers a sauna, spa room and a rotating bed with (of course) mirrored ceilings. 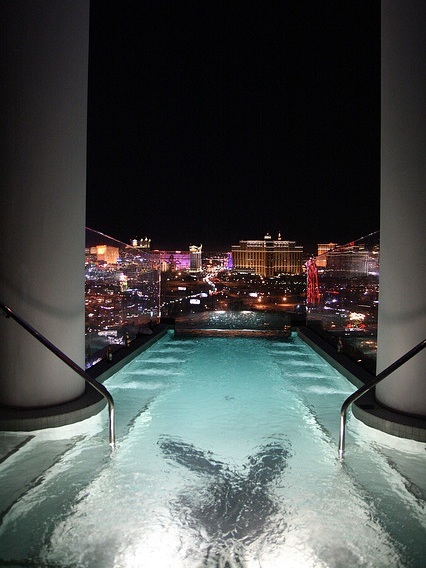 Enjoy a dip with your harem in the Jacuzzi that extends past the exterior of the building for endless views of the glittering skyline of Las Vegas. This lavish two bedroom, two bathroom suite offers a spacious terrace, in-room sauna and spa bath and, of course, a mini-bar, everyone’s favorite hotel amenity (except this one is stocked with Cristal!). Those traveling for business instead of pleasure can take advantage of the video conferencing technology and other office technology available from the comfort of their own plush bed. 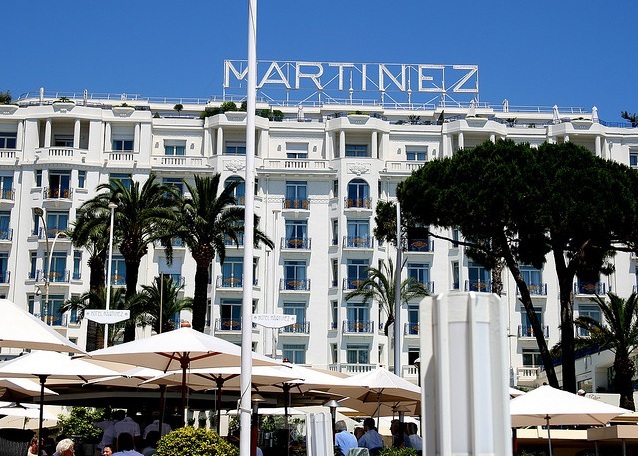 Hotel Martinez is one of the most expensive hotels in the world and especially in Cannes, France. This suite is designed to be like a home away from home, with three bedrooms and a spectacular view of the beautiful Greek peninsula. An in-room business center, huge beds, an indoor and outdoor pool, and a private butler and chef ready to attend to your every food-related desire (even while beachside) will make you feel like a Greek deity in your own right. The interior of this amazing hotel is way over the top, in a good way. It features gilded Louis XV décor, probably the most opulent (and grandiose) of any hotel in the world. 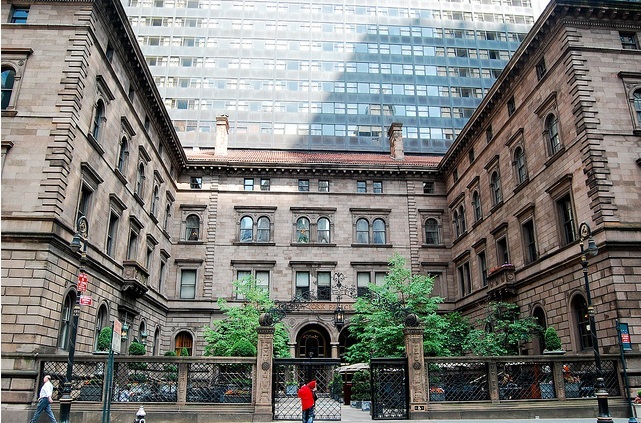 It is truly a sight to see as the New York Palace blends the historical Villard Mansion with a modern 55 story sky scraper to offer a classical, contemporary feel unique to this property. If you’ve never known what it’s like to have your own butler, you will finally get to experience it – butler service is one of the special amenities at this suite. If you could spend the night at any hotel in the world, which one would it be? Posted in France, Greece, Luxury Travel, Switzerland, USA and tagged with Cannes, France, Las Vegas, Luxury, Luxury Hotels, Luxury Travel, New York, Switzerland. RSS 2.0 feed. « Modeling in Tokyo Yo! It is always was interesting for me to get familiar with the most expensive hotels of the world. In this review I found exactly what I was looking for. Very detailed information about top 5 hotels to stay in different countries of the world.